Winx's scheduled comeback has been delayed until Monday, as officials decided to postpone Saturday's card at Randwick due to extreme temperatures. "Racing New South Wales and the Australian Turf Club believed that animal welfare and the welfare of the participants should be the only consideration when making this decision," Racing NSW chief executive Peter V'landys said. Successful on her last 13 appearances, Winx, officially rated the best turf horse in the world, will match the fabled 1930 Melbourne Cup hero Phar Lap if she repeats last year's victory in the Star Apollo Stakes, a 7f Group 2 worth A$250,000 (£152,374/€178,842) at Royal Randwick. The dual Cox Plate heroine is due to face 11 rivals, including Godolphin's Hartnell, Highclere Thoroughbred Racing's Libran and Irish import Endless Drama, in baking hot conditions. 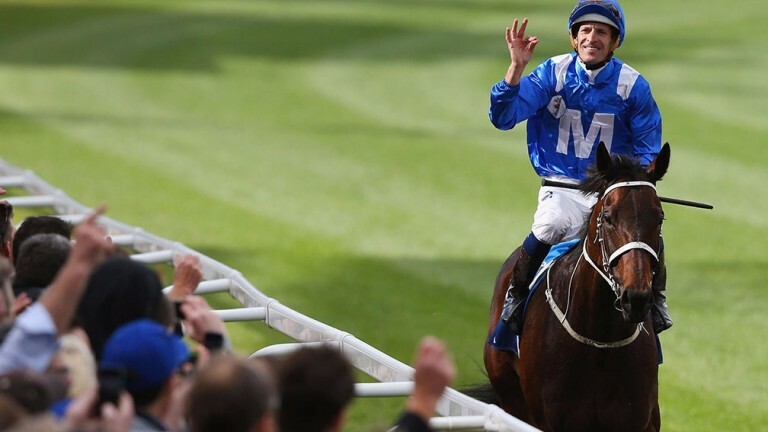 Trainer Chris Waller, whose stable star will be ridden by Hugh Bowman, described Winx's preparation for the race as faultless. “She’s a bit stronger and a bit heavier but she’s come together very well," he told the Australian media. "I couldn’t be happier. "She's now not just my horse, the owner’s horse or Hugh Bowman’s horse, she is the general public’s. We're aware of that and try to keep things as simple as we can." Winx, who has some way to go to rival Black Caviar's unbeaten stretch of 25, is likely to be pointed at the Queen Elizabeth Stakes on April 8 after the weekend and could travel to Britain next year for Royal Ascot, but Caulfield Cup winner Jameka, who takes on Qatar Racing's Arod in the Group 1 CF Orr Stakes at Caulfield on Saturday, is pencilled in for the trip this term with the Qipco-sponsored King George VI and Queen Elizabeth Stakes an option.